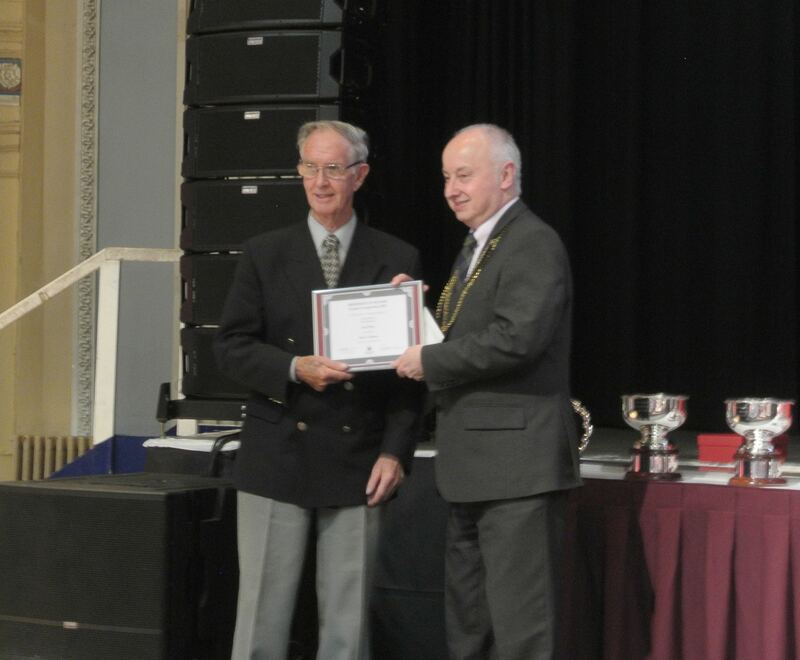 GFAA plotters enjoyed an evening of great successes in the Beach Ballroom yesterday when the individual awards to plotters and gardeners were announced. 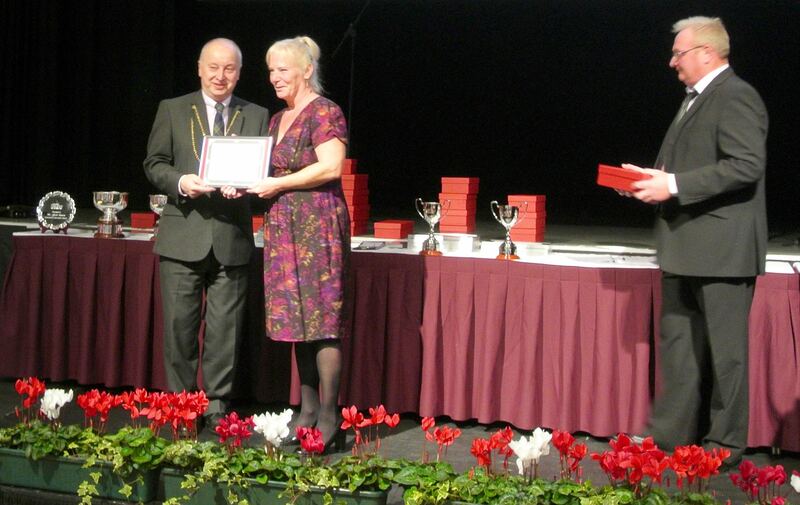 Sandy and his wife did exceptionally well with Second Place prizes for both garden and plot. GFAA dominated the individual plot awards with Sandy in second place, Gill in fourth and Stuart and Alastair (Stewart) placed fifth equal. 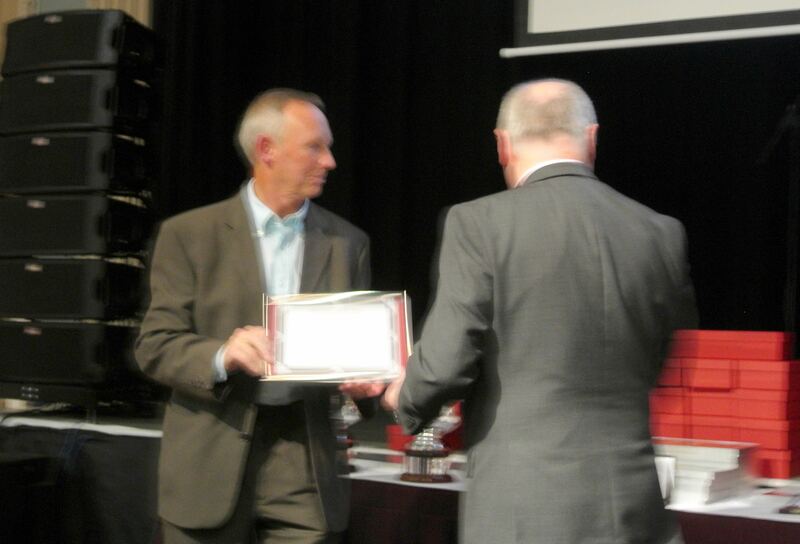 Beyond that, a full handful or more of our plotters were presented with certificates of merit. Perhaps the best moment of the night, however, belonged to Gill who was named as the Best New Entrant in the competition in recognition of her fabulous fourth place in her first year in the competition and only her second year on the plot. 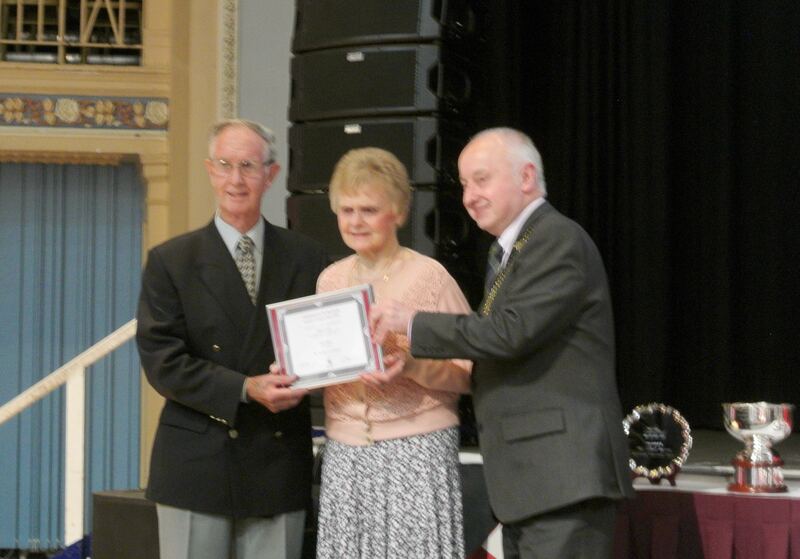 The Lord Provost presented a commemorative engraved hand-trowel and framed certificate to every winner and Aberdeen City Council are to be thanked for hosting the prize-giving and buffet supper in great style. Thanks go to Stuart too for nagging us all into entering! Hopefully we will see even more entrants and success next year.